This acorn beanie knitting pattern includes sizing for 0-3 months, 3-6 months, and 6-12 months. 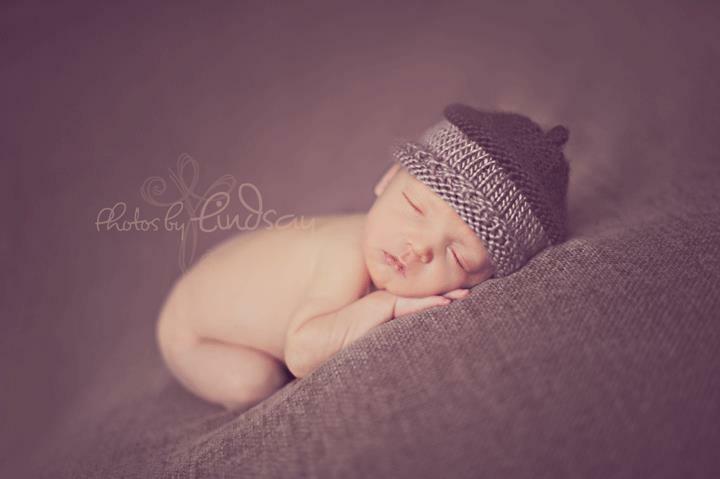 It's an adorable photography prop, and is perfect for autumn! 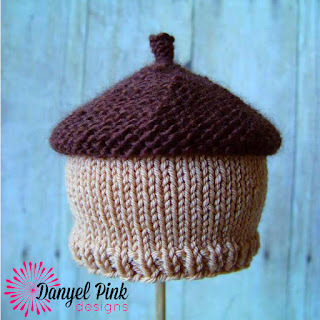 This is a fun project for new knitters who are able to knit and purl. Approximately 50 yards of light brown and dark brown Worsted Weight yarn. Sample shown using Sheep(ish) yarn. Fits 13-15”, 15-17”, and 17-19” head circumference. 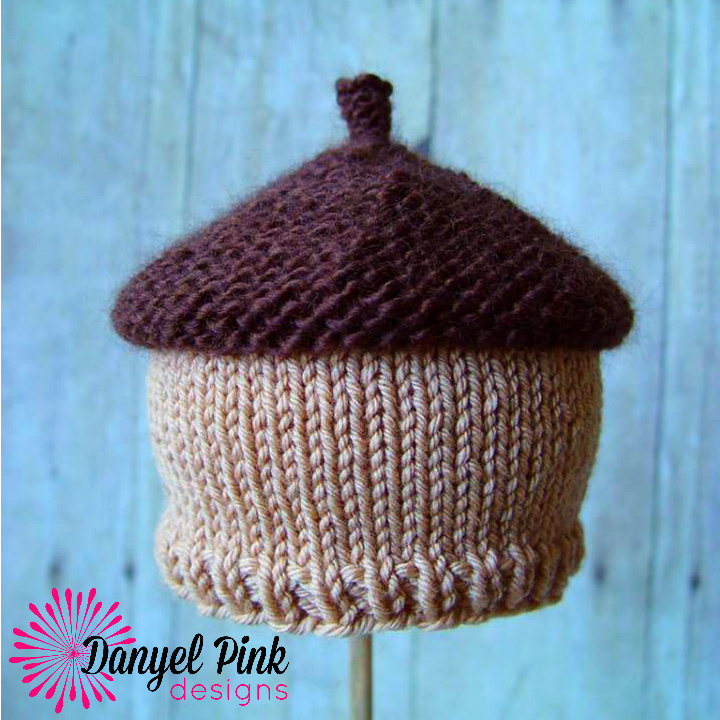 This beanie is knit in the round on DPNs (or small circulars). You will need to know how to P2TOG and make an I-cord purl-wise. www.knittinghelp.com is a good resource. I do knit a bit snugly. You may need to use smaller needles to make gauge. With light brown yarn, CO 56. Round 1-3: (K1, P1) around. Work I-cord purl-wise for 3/4”. Fasten off and weave in ends. With light brown yarn, CO 60. With light brown yarn, CO 66. Knit or crochet a small oak leaf to embellish your beanie. Alternate K1/P1 with P1/K1 for a seed stitch trim. ☞ © 2012/2015 Danyel Pink. You may sell what you make, but please credit Danyel Pink Designs for the pattern. You may NOT resell the pattern, distribute it in any form, post it elsewhere online, or alter it to claim it as your own. Please provide a link back to my blog instead. Contact me with any questions or for pattern support.